The cold, barren days of winter can make it feel like spring will never come. Visions of green grass, lush shrubs and colorful flowers seem just that – a vision. Well, winter is the perfect time to start bringing those dreams to life. Use these months to put pen to paper and start planning the projects that will transform your yard into a relaxing oasis or enhance your curb appeal. Here are some tips to help you get started. Start by making a list of the items that would enhance your outdoor living area. Consider both hardscape and softscape. 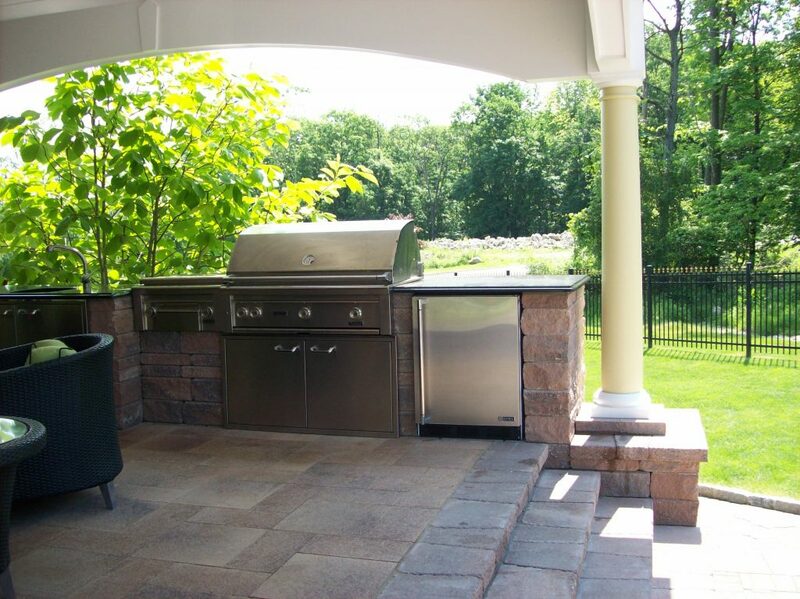 Do you want to add a water feature, pool or outdoor kitchen? Firepit, patio or pergola? Outdoor lighting and irrigation system? 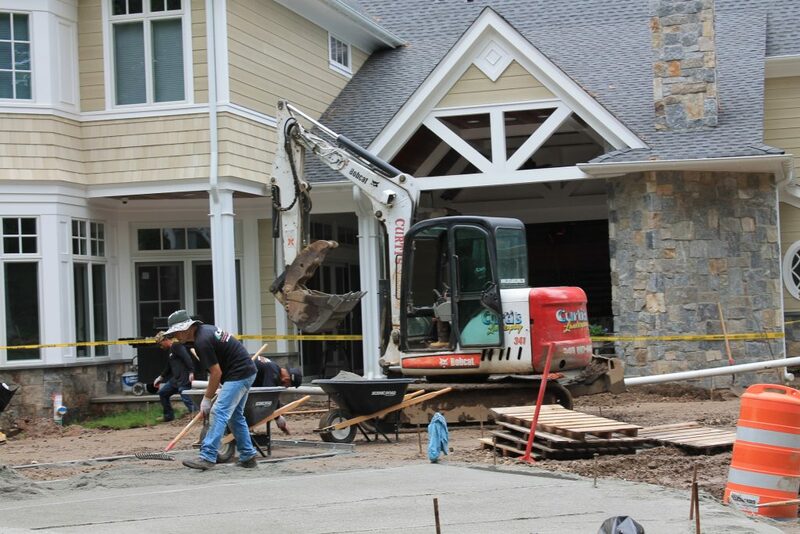 If so, your landscape design needs to start with those larger hardscape items. Once they have been identified, you can then move onto the softscape – trees, shrubs and flowers – that will complement those fixed features, as well as your home’s exterior. The most inviting landscape designs delicately balance both hardscape and softscape. Now that you have decided the types of design features you want to incorporate into your home’s landscape, it is time to zone in on the aesthetics. What shape pool are your drawn to? Do you prefer pavers or natural stone? Are you desiring a formal garden bed or something more free flowing? An experienced landscape design firm can help you determine what hardscape and softscape features will work best with your style, home’s architecture, lot size and elevation, and climate. They can create a design that will bring your vision to life. Our Portfolio section is full of inspiration. Frigid temps may have you wanting to get started installing and planting ASAP, but it is important to carefully plan your projects. Concrete requires a minimum temperature for optimal curing. Plants thrive best if you plant them at suggested times of the year. A landscape design firm is knowledgeable of, and accounts for, these temperature requirements and can help you save money and headaches down the road. A lush looking landscape includes a beautiful lawn. Planning lawn treatments is an important aspect of creating an inviting outdoor space. Sod and seed installation, the application of weed killers and fertilizers, and aeration all help to create and maintain gorgeous grass. When you work with lawn maintenance experts, you can be sure that the products are being applied at the right time of the year. If you live in the Bergen County, New Jersey or Rockland County, New York area, give us a call. Our experienced team of landscape design/build and maintenance professionals will help you create the yard of your dreams.